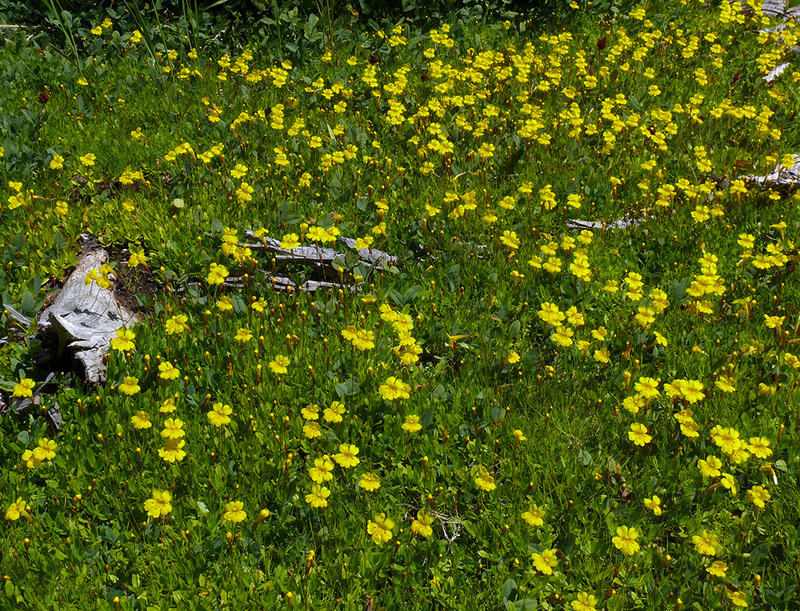 The darling little flowers of Primrose monkeyflower all seem to face the sun. 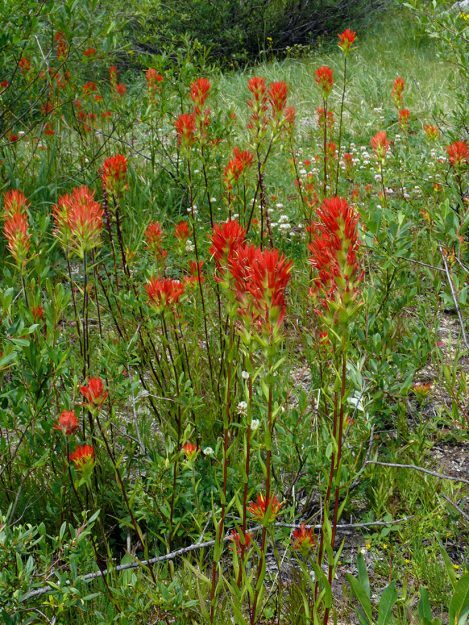 Suksdorf’s paintbrush (Castilleja suksdorfii) was still quite eyecatching. The view of the Three Sisters is outstanding from the summit of Horsepasture. 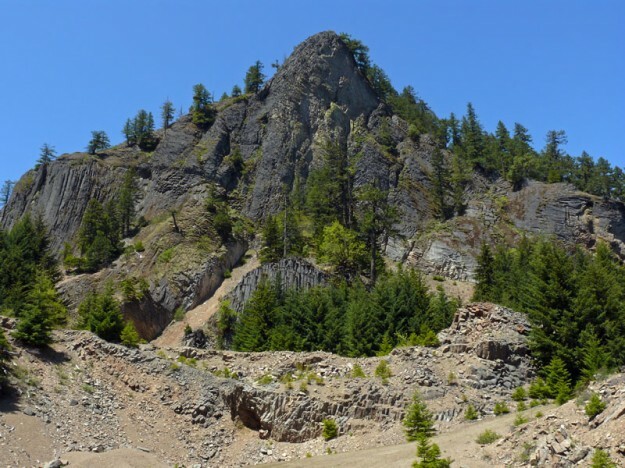 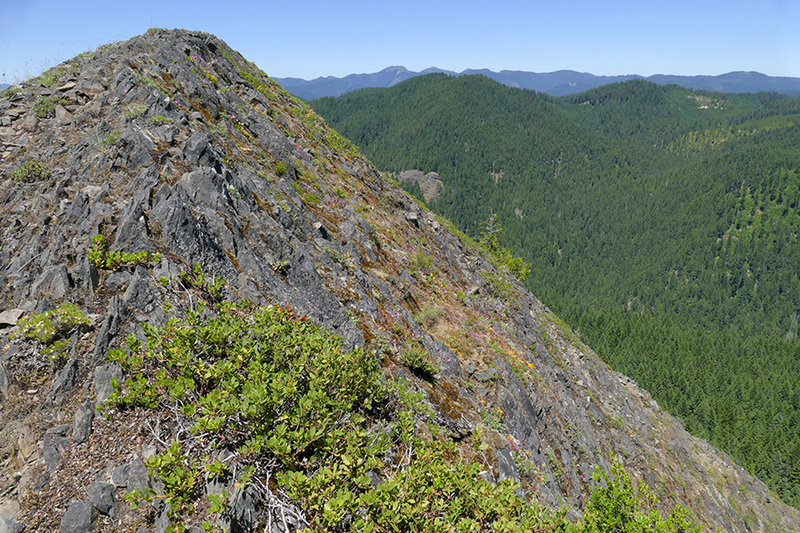 Looking across the steep north side of Pyramid Rock, you can see Bohemia Mountain and Fairview Peak in the distance. 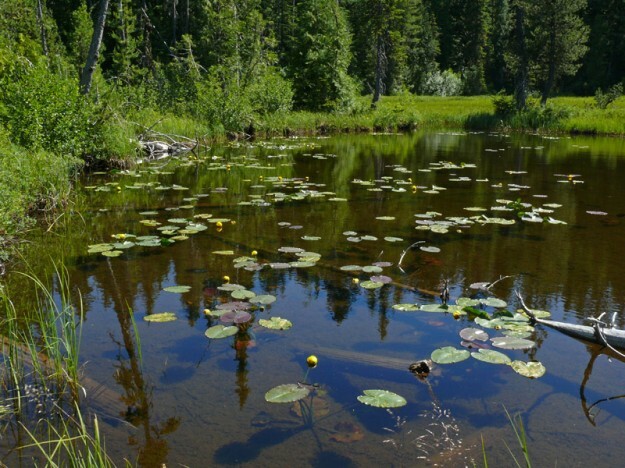 Pond lilies (Nuphar polysepala) bloom in both Anvil Lake and this smaller lake. 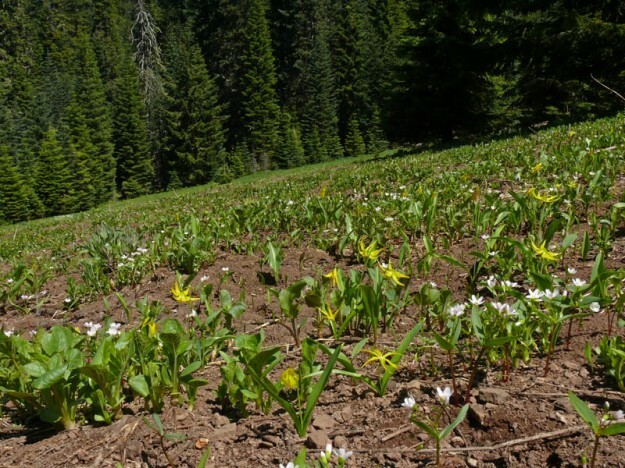 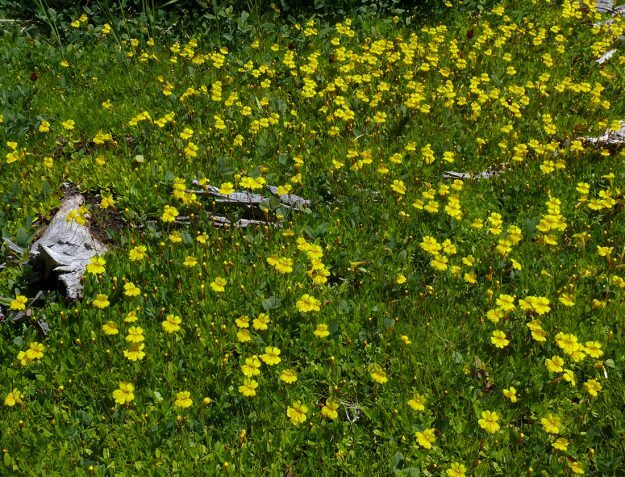 Snowmelt species like glacier lily (Erythronium grandiflorum) and western spring beauty (Claytonia lanceolata) bloom quickly before the other, taller plants emerge. From the gravel pit below, the cliffs on east side of Stone Mountain are impressive. 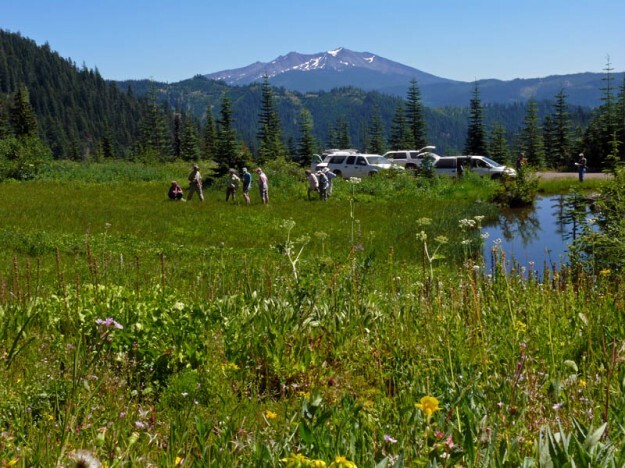 Field trip participants exploring one of the many wet meadows near Groundhog Mountain. 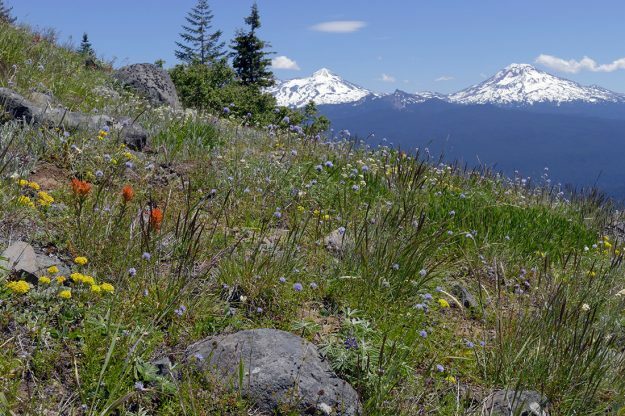 Diamond Peak is in the background.